Meets the third Wednesday each month at 8:00 p.m. Residents often see members of Green Tree's American Legion Post #823 at many of the community's patriotic holidays, with formal flag raisings at Green Tree's annual 4th of July Celebration and Octoberfest, Memorial Day ceremonies honoring fallen soldiers followed by a service at St. Margaret's Church, and a "Pause for the Pledge of Allegiance," part of a nationwide observance at the Veterans' Memorial on Flag Day. But they do so much more than that year-round. Every May you'll see American Legion members at local shopping areas seeking donations for veterans' organizations during "Poppy Days." When a donation is received, the American Legion member gives the donor a red crepe poppy as a thank you. The poppies are handmade by veterans as part of their therapeutic rehabilitation and a symbol of sacrifice of the lives lost in service to our country. 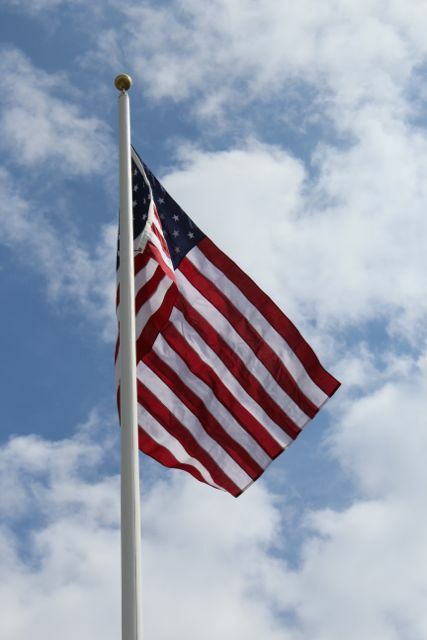 Poppy Day funds go directly in assisting disabled and hospitalized veterans in our area. American Legion Post #823 has a proud history of holding veterans' luncheons at the Green Tree Fire Hall. Additionally, members often visit and entertain disabled vets at the Veterans Hospital and the H.J. Heinz III Progressive Care Center with a catered lunch, bingo, and prizes to brighten their day. 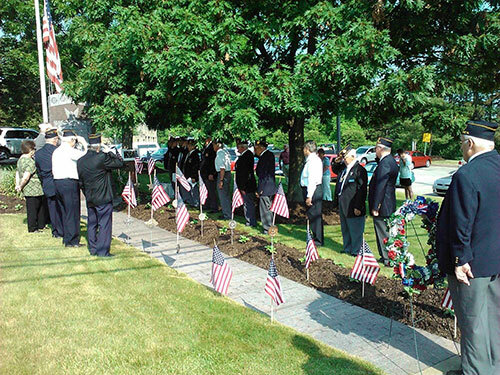 The Green Tree American Legion Post #823 work with the local Boy Scouts and Cub Scouts on some flag-raising ceremonies, mentoring a new generation in patriotic traditions and history of service to country. 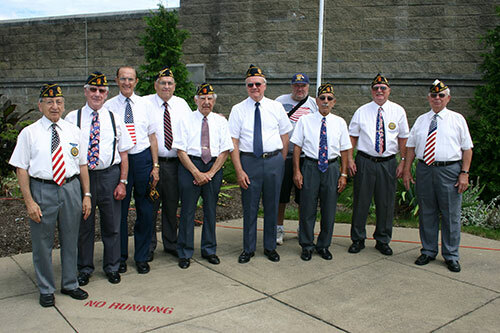 The Green Tree American Legion Post 823 was the proud recipient of the Hospitalized Veterans Award by the Pennsylvania American Legion for the work they have done, and continue to do, with hospitalized veterans. Out of 747 American Legion posts throughout the state, Green Tree's American Legion Post 823 was chosen. Congratulations go out to the members of Post 823 who are a small group of dedicated, hard working, and service-oriented individuals. Post 823 wants to thank the residents of Green Tree and surrounding communities for their support and generosity during the annual Poppy Drive. The money raised helps veterans who are less fortunate than us. Most recently, the Green Tree Woman's Civic Club has donated a "Retire Old Glory" collection box in honor of the American Legion Post #823 for worn, damaged, or unserviceable flags to be appropriately retired. 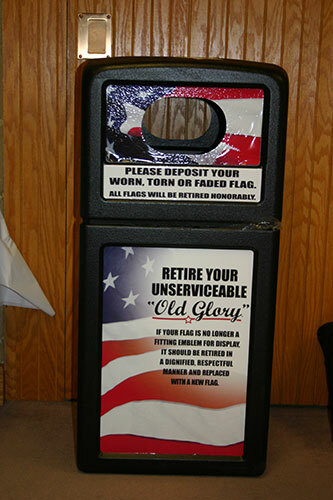 The "Retire Old Glory" box is located outside of the Municipal Center's Administrative Office. To date, more than 500 flags have been collected. Green Tree's American Legion Post #823 has a strong core of members, but is always seeking new members. They provide a backbone for the community with their dedicated service. See the box for American Legion membership. The Green Tree American Legion Post #823 meets on the third Wednesday each month at 8:00 p.m. at the Green Tree Fire Hall, in the Carlisle Social Hall (named after local Green Tree volunteer firefighter and American Legion member, Bill Carlisle) at 8:00 p.m.